As you know, the mechanics of getting fit, the mechanics of being healthy are relatively simple. Eat good food, move around some, maybe lift a couple of weights, exercise, get some good sleep, spend time with the people that you love, a little stress management is what we label it today. But as you also know, those mechanics can be a little bit difficult to do today. And actually can be a lot difficult in some instances. More than ever, we've got a lot of distractions, we've got a lot of things going on, we've got a lot of deterrents from doing the mechanics, and keeping us working on ourselves to be the happiest, healthiest, most fit version of ourselves is not as easy as following the steps. But what's going on behind the scenes? What's actually determining whether or not we do those mechanics? That's what we're going to be focusing on today, and we're going to talk about the crucial keys to long-term motivation to be healthy, long-term motivation to be fit, and this is operating with the machine that's controlling the whole thing, which is your mind. Your mind is what is guiding and determining the action that you take each and every moment of your life. And if you mind is pointed one direction, and you're pointed towards doing some burpees, you're going to have some cross-up issues, alright? The burpees might turn into Slurpees, and you're at 7-Eleven, alright? That's the story that can take place, and it's happened to many of us in one form or another. You might be like dedicated to working out, and get yourself a new fitness partner or gym buddy, and they call you one morning and you're like, "I don't really feel like working out today." They're like, "You know what? IHOP is open." You know, and if you don't have that proper desire and motivation built into the system, you're going to succumb to some fluffy pancakes. Fluffy pancakes are not the problem though, everybody needs a fluffy pancake every now and then, but if that is the norm and not the exception, we're going to fail ultimately in getting what we really want. So today I want to make sure that you have the mindset, that you have the tool, that you have all of the resources that you need to program yourself to stay consistent, to execute on your goals, and we're going to talk about the real science of motivation. Now we can't have a conversation about fitness without talking about what are the inputs that we're doing with nutrition, right? We've talked about this many times on the show, but I just want to highlight something here because a lot of people ask me, "So what do you do pre-workout?" Now we did a whole episode dedicated to pre, intra, and post-workout nutrition, which we'll put in the show notes, but one of the main things that I do is really simple, and it's using something that has been used for a very, very long time, and that's utilizing a little bit of caffeine. Now caffeine has this kind of love / hate relationship in the media, but this is something that has a great resonance with the human body, and we've been using this for centuries. Now what's so interesting about it is that there's this compound that's called adenosine that your body builds up as you're awake and kind of doing stuff, and adenosine was considered to be a throw-away product. Just a byproduct of metabolism. Well recently scientists have figured out that adenosine plays a really important role in your overall health and well-being because as it builds up, there are receptor sites for adenosine that start to nudge you to go to sleep, to shut down, power down, and to come back better. What's so fascinating is that caffeine operates in that vein. What that means is that caffeine has this interesting ability to fit into receptor sites for adenosine. And so as you're building up more adenosine and there's a caffeine molecule sitting in that receptor site, you can basically keep going because you're not really realizing physiologically that you're tired. Alright? So not only are you not realizing that you're tired, but caffeine operates in another way as well as a pretty potent nervous system stimulant. And so even though it has this resonance, literally the resonance is seen in the fact that it can fit into receptor sites for our human biology, which is fascinating. But also on the other side, being a bit of a stimulant, it can also help you to kind of push through when you start to feel a little fatigued, so it's great for that, and to get you going, a little kickstart, but we don't want to over-abuse it. We also want to allow our bodies to shut down, to get the rest that we need to recover and come back better. So if you can't have a great relationship with caffeine, it's all good. And so here's what's happening with fitness, and why it would be tied in here. And this was a study published in the American Journal of Clinical Nutrition, and it found that caffeine can actually increase your metabolic rate by 3% to 11%. So what that means is you can increase your body's potential of burning fat 3% to 11% when you employ a little bit of caffeine pre-workout. So a lot of supplement companies have been taking advantage of this, and throwing this into their products, but we want to do this in as natural, healthy form as possible. And another big thing here that they found in the study was that most of the increase in metabolism is caused by an increase in the burning of fat. So they actually found out that this is indeed the case. But for me, going the normal route of the Starbucks, the mocha-smoka latte whatever, that can be a little bit problematic, alright? The sourcing- you don't want your caffeine in a pesticide laced, fungicide laced coffee bean, alright? You'll get a little bit of endocrine problem along with your caffeine. We want to go for something that's organic, and also something that could buffer even the effects of the coffee, because coffee can be a little bit too much on our system. It doesn't really work like that. Your body is constantly doing its job to keep you in homeostasis. 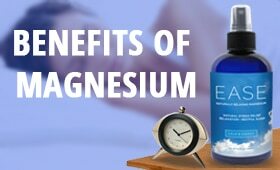 So if you are bringing in a lot of acidic compounds into your system, it will literally release and pull maybe some calcium from your bones to help to buffer that acid that you're bringing in to keep you- again, at homeostasis. That might not be the best thing, but your body is doing what it can to keep you in balance. So with that said, coffee, going too far again down that lane might be a problem, but what if we bring in something that balanced the coffee at the same time? For me, that's medicinal mushrooms, very alkaline forming. And this is why I use the formula from Four Sigmatic, because not only do they have organic coffee, but it also has- my favorite one has Cordyceps mushroom in there as well, and also Chaga. So Cordyceps- and this was a study published in Medicine in Science, and Sports, and Exercise, looked at thirty healthy athletes for six weeks to record the effects of Cordyceps on their performance. The group that added Cordyceps to their daily regimen had twice the oxygen intake of the control group, alright? This oxygen is essential in supplying nutrients to the muscles, preventing fatigue, and preventing the buildup of lactic acid. Another study done by the same group also showed a 9% increase in aerobic activity from taking Cordyceps. So there it is in black and white. Those together, organic coffee and Cordyceps, a really powerful combo for something that you can use pre-workout. Or just pre-life just to get your day going. So make sure to head over, check them out, www.FourSigmatic.com/model and you get an exclusive 15% off all of their incredible mushrooms coffees, mushroom hot chocolates, and mushroom elixirs, alright? And they use a dual extraction. This is not something you're going to find at any random supplement, or any random mushroom product, or coffee. They're using a dual extraction, so they're actually using a hot water extract of the mushroom and an alcohol extract to get all of the goodies from them that you hear about these studies, you're actually getting them. Because you might read a study and you're not actually getting the same type of extract of the Cordyceps or the Chaga or the Reishi that the study was using. Alright? So you're definitely getting it here with Four Sigmatic. So head over, check them out. And now on that note, let's get to the iTunes review of the week. 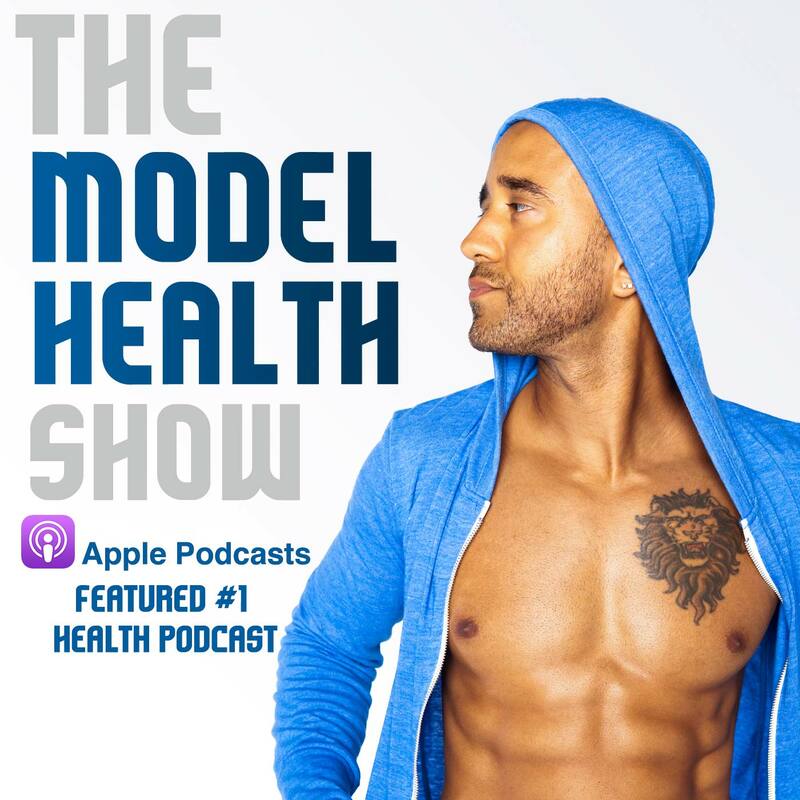 ITunes Review: It's another five star review titled, 'I'm in love with The Model Health Show' by ReisterMeister1. 'I found this, The Model Health Show, a month ago, and I finally have hope. Always interested in health and fitness, Shawn and The Model Health Show delivers content beyond my wildest dream. At age two I was started on antibiotics for sinus problems, and it's continued my whole life. Quite frankly, these drugs scare the heck out of me. Shawn Stevenson: Wow, what an incredible story. And you know, there's a saying that when the student is ready, the teacher will appear. And this has happened in my life, and countless others of course, and I'm just grateful to be a part of your story, and for you coming out of that. You know it doesn't matter what happened to us prior to this moment, you know? We all have a story, we've all been through things, but there's always an opportunity to improve. There's always an opportunity to wake up, there's always an opportunity to take a different approach, to try something new and different, and to of course see different outcomes as a result. But for many of us, we do the same thing over and over again expecting a different result, and that my friends is the definition of insanity. Now with that said, I am so grateful for hearing stories like that, and also every single day just the messages coming in, and I just appreciate you guys so much because I have no intention on stopping anytime soon, and we've got some more incredible empowering information, and guests, and show topics coming up. So make sure to head over to iTunes and leave us a review if you've yet to do so. I truly do appreciate it, and I promise- again I'm going to keep it coming for sure. 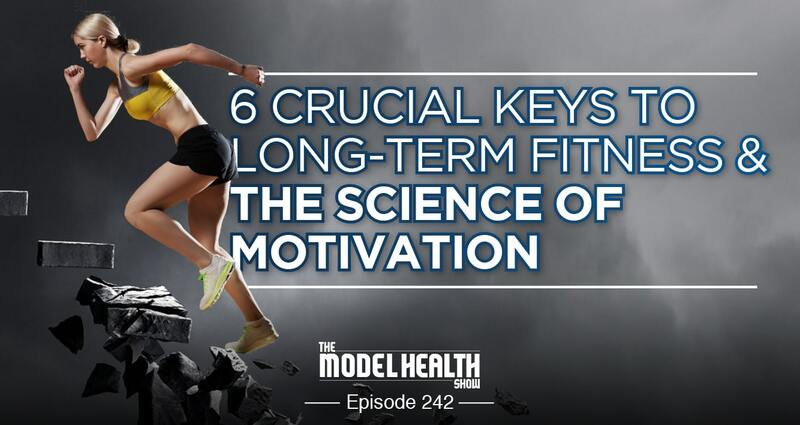 Today we're talking about the six crucial keys to long-term fitness motivation, and the science of motivation. And this conversation I think really begins with the distinction between motivation and inspiration, alright? Motivation and inspiration. These two words might sound synonymous, but they're really not, and let's dive in and actually take a look at their definitions. Now the definition of motivation is the act or process of giving someone a reason for doing something, alright? This is also another definition, the general desire or willingness of someone to do something. Whereas inspiration, here's the definition. It's the process of being mentally stimulated to do or feel something, especially to do something creative. And another definition, this is really interesting, is that it's a divine influence or action on a person believed to qualify him or her to act. Now both of these have a lot of power behind them, and they have a lot of value, so how does this all integrate together? So we're going to cover both of these today because they're both important. Now motivation helps you to remember who you are. Motivation helps you to kind of get back on track if you fall off course. It's something external that motivates you to get back on track. Motivation also can help you to see more clearly. This is something where- again, you might be a little bit distracted, you might be seeing things in a way that's not advantageous, and something external is going to come and motivate you to see more clearly. Now motivation tends to be shorter in duration, it tends to be more surface level, and it's dependent on feelings. That's very important, so remember that because we're going to come back to that. Now inspiration says, 'I know who I am, and I know what I'm capable of.' So it's not something external reminding you what you're capable of, it's an internal knowing. Inspiration does not allow you to get too far off track in the first place. This is something that is built in, that helps you to kind of course correct, sort of like a jet. Right? So the jet- if you're flying and you're off even a couple of feet, you could end up hundreds and hundreds of miles off course as that gets played out. But inspiration helps to course correct and keep you on track. Inspiration is sort of like sight beyond sight. This is allowing you to see what's possible, and compels you to bring that vision into reality. And even when I said that, that just reminded me of ThunderCats. Shout-out to ThunderCats. And Lionel, he's like the leader of the ThunderCats, he had a sword and he'd be like, "Show me sight beyond sight," and he'd see weird stuff going on or whatever. I'm not talking about that, but shout-out to ThunderCats. We got the box set that my wife got me for I think my birthday maybe like ten or twelve years ago, or something. Sweet gift, she's the best, but it was one of my favorite cartoons growing up as a kid. Now with that said, inspiration- when we talked about motivation earlier, we mentioned that it's shorter in duration, more surface level, and it's dependent on feelings. Inspiration on the other hand tends to be longer in duration, it's deep-rooted and compelling regardless of how you feel. That's the difference. It's not based on feelings. Regardless of how you feel, if you're inspired, you're going to act. Now how do we experience this overall? Well you use motivation, right? This is something that you consume, you use motivation, but inspiration uses you. It's a little bit different in how it's experienced. You use motivation, inspiration uses you. Now motivation is based on different questions as well. These are internal questions that we all are constantly playing in our minds whether we realize it or not. We're meaning seeking creatures and we're using these terms to figure out what things mean. So again, motivation is based on different questions than inspiration. Motivation always asks how or what. Motivation asks how or what, whereas inspiration asks why or who. Why or who. It's looking at a deeper meaning, a deeper meaning of why. Not just how to do something, but why. Now motivation pushes you from behind, pushes you, whereas inspiration pulls you from within. It pulls you to a compelling future, a compelling vision, and moving you towards the future that you want. Alright? See there's subtle and profound differences with both of these terms, but they are interchangeable in some ways. And the greatest teachers actually help to transition the two from motivation to longlasting inspiration, and that's what I'm hoping to do for you today in giving you real strategies, and actually looking at the science, what's going on behind the scenes, the actual science with motivation transitioning into inspiration. And so those teachers deliver something that I call profound knowledge. Now profound knowledge for me, this could be even a couple of words, it could be a welldeveloped strategy, but what it does is something that comes into your life in an uplevel as your perception of reality. I'm all about profound knowledge, finding those things in my experience that change the way that I view reality for the better, and I hope to deliver that for you as well. So this episode will provide a combination of motivation and tools that cultivate inspiration as well. We're going to start at the top with these six strategies, and number one is very, very important and very powerful, and number one is to leverage your brain's programming. You have to leverage your brain's programming. So what does that mean? Well recently we had on the incredible Dr. Daniel Goleman who is the author of 'Emotional Intelligence.' And when I first heard about these mirror neurons, it just blew my mind. I was completely fascinated and it started to really unravel why we do some of the things that we do, and my realization and understanding about our reality and how we operate, and how do we learn? Because for kids, for example, it's not like we tell them to do certain behaviors. They just mimic it. We really learn through modeling. It's a big part of our reality, and just doing the things that we see done in our environment whether we understand it or not, whether we realize it or not. This is going on all the time, and these mirror neurons were the reason why. And he talks about the discovery of those mirror neurons in the episode that we did recently. So I'll put that in the show notes, if you happened to miss that one, it is powerful and definitely something to add to your superhero utility belt, the information in that one. So make sure to check that out if you haven't done so. But the bottom line is with mirror neurons, here's what's going on. So these are neurons in our brain that are literally simulating anything that we witness. So what that means is that whatever you're exposed to, whatever you might be watching in your environment or on television, these neurons in your brain are simulating you doing that behavior. So it's kind of like a simulation program like for flight. Right? You're not actually doing the flight, but you're simulating the experience. And so these mirror neurons are doing the same thing, alright? You might not be speaking on stage, but these mirror neurons are playing as if you're doing that thing. You might not be doing the crazy car stunt that you're watching in Fast and the Furious 17, but your brain is playing you playing that role. It's simulating that. This is why things are so visceral, and we experience it. That's why we have emotion when we witness movies like that. We get the adrenaline rush or we have the experience when we're at a game with your favorite team and the crowd is just going nuts. It's so visceral. We experience, we feel like we're actually in the game. And we even say it like, "We're winning." We're not winning! You didn't pick up the bat! Can you hit 101-mile per hour fastball, seriously? I know there are some people listening that can do that superhuman stuff, but chances are it's not 'we' are winning, you know? But we get so emotionally involved. It becomes a part of us. And so a big part of the reason why is our brain's programming and these mirror neurons. So the tip here to leverage this innate happening in our brain is to get around things that inspire us towards our fitness. So this might be following our favorite person who's in the fitness industry, their Instagram, and checking out their stuff, watching their Instagram stories. And by the way, this is something that I love to do as well on my InstaStories. You know a lot of times people are going through my workouts with me. So you can check me out @ShawnModel on Instagram. So that again is simulating- your brain is simulating you doing that thing. It's helping to really operate with your brain's programming. Same thing YouTube videos of exercise, and fitness things like that. But there's an important caveat here. Now this is with people that inspire you, alright? People that inspire you. And so this is why I love to work out with my kids, I love to work out with my wife, and we show that as well the different levels and the different aspects of this. And we've come a long way even as a family and the things that we're able to accomplish with our health and fitness, and just being able to go along with that journey with me, I think it's a great value. But just there are so many great people out there that are doing this work, so just utilize this because your brain is doing this anyways, get positive programming coming in. You know, clean house on your social media feed so that you have more positive stuff coming in that inspires you, alright? Your brain is doing this anyways, so it might as well do it for something that's going to benefit you. Another way to leverage this with your brain's programming is leveraging your brain's desire to automate behavior. This is something we've talked a lot about on the show as well, and I'll put a link to an episode where we really dive in on this, but as you continue to do a behavior, as you replicate a behavior, as you try to create 'a habit,' when you're doing the same process over and over again, your brain, these synaptic connections, these neurons connecting and firing together start to lay down more myelin, alright? They get myelinated. So this myelin is like this insulation that coats itself around those nerve pathways and gets them to fire more automatically, more rapidly. Alright so myelin is very important in this equation. The more you do a behavior, the more myelin gets laid down, the more this becomes a part of you where it feels awkward to not do the thing. And this can go in different directions, it's not just for positive things, but this can happen with what we call negative habits as well where your brain is literally- you do a certain thing, you know maybe as soon as you're done a certain time of work you go outside and you smoke a cigarette, you know? That's a myelination process and program that after this thing, somebody smokes. Or after this thing, I do this. Or when I go into this room, I do this. You know as soon as I go into the bathroom at night getting ready for bed, I immediately grab my toothbrush. You don't even think about it. It's there, it's laid down, it's a process. And we can't- of course we can jump in and out of these things in our brain, but it feels weird when we don't do the thing that we've been doing so long. So we want to use this again to our advantage, because again it's happening anyways. And I think a good example is that it's just like lifting weights makes you stronger, your body adapts so that it can better face stress. This is what's happening with myelination. It's an adaption that's taking place. Because changing your habits, as good as they might be, can still be perceived by your brain as a stress because it's a break from the norm. Alright? I hope that makes sense. So utilize this process when we're building new habits, get yourself around environments that inspire you, people that inspire you, and social media that inspire you, and also know that this is taking place anyways, so help your brain to automate the behavior. Do something consistently for a certain amount of time. Don't mix things up too much until you really get locked in with your fitness and your motivation to exercise, to work out, to really engage in that. Just do something that's simple, and lay down more myelin so that you get comfortable and excited and get your brain used to doing that thing before we start throwing in a lot of pizzazz. Alright? So number two on our list of these six crucial keys to long-term fitness motivation, and the science of motivation, is to utilize music. Now there's an overview of dozens of studies that was completed by the International Review of Sport and Exercise Psychology, and it looked at some really interesting things that take place when we're utilizing music with exercise. And when music is used during activity, it has something called an ergogenic effect. What that means is basically performance enhancing or work enhancing effect, and psychological effects as well. And what they also found was that listening to music during exercise can both delay fatigue and lessen the subjective perception of fatigue. And it can also increase physical capacity, improve energy efficiency, and influence mood. Now what the researchers did is they looked at different aspects to try to figure out what is music doing, and why is this working? Well one part of it is it has something called an internal characteristic with the music. So this is talking about the tempo, and the rhythm, and things like that. And they also looked at the features that were external to the music, which is the personal or cultural associations that the music often carries. So there's the internal and external aspects of the music. And other fascinating research, and this was in the Journal of Sports Sciences found that when short duration strength training tasks are accompanied by music, the results are extremely clear. The researchers tested the effects of motivational music on a muscular endurance task that entailed holding a weight extended directly in front of the body at shoulder height. In all the studies, the participants endured longer in the presence of music as opposed to the controlled condition that did not have any music. Now the greatest endurance was recorded when both pre and end task music were used together. So what that means is they found that playing music before doing the activity improved their ability to do the exercise longer. And they found that during the activity, playing music helped them to do it longer. But they got the best result when they had the music pregame and during the game. Alright? So athletes using music before the game, it actually works. It gets them in a certain state, a certain frame for them to perform at a higher level. It actually has science to back this up. And also again, playing music during the workout really has some interesting effects as well. And there's actually several reasons for this because music can reduce our experience of this beautiful burning or perceived pain that we get during exercise. Department of Anesthesia, finding that listening to music reduces pain intensity levels and opioid requirements. So we don't need this opioid hit as much to kind of numb the pain because the music just keeps us feeling like it's not that bad. And so here's some helpful tips to help throw this out and to put this into some practice steps. And so seeing here in the science that number one, this is going to reduce our experience of pain, this is going to help us to perform better, this is going to help us to buffer a lot of the fatigue, the subjective perception of fatigue as well, and to improve our energy efficiency. This is something that we can all utilize. It's a tool that we have available for us. And all of us- people have headphones, like this comes with all of our phones and things like that, and you have access to this. You don't have to bring your boombox to the gym, right? This is not Do the Right Thing. Remember the guy who carried around the big boombox or whatever? I did that! True story, when I was right around sixteen or seventeen, we had a neighbor- we didn't have a car at the time, but we were very we'll say crafty about automobiles and they didn't fare very well in the Stevenson household, something was always happening. Our neighbor next door, Mrs. Sweet- what a great name, Mrs. Sweet. And she was a much older lady, and I would mow her lawn and that kind of thing, but she would let us use her car. She literally had the radio that you push the buttons in, like it literally goes in, and it makes a sound, and it's like stuck in until you push the other button and it pushes the other one out. No tape player, none of that stuff. And so I would literally put a boombox in the backseat and yeah, that's my story. So here's the thing, all of us have access to tune into whatever we want when we're working out. So here are some tips to put this into play for ourselves. Make a bunch of playlists for yourself, alright? It kind of just inspires you a lot when you have a new playlist, right? Some new songs that really get you going. So make a bunch of different playlists, different vibes even. So for me, I'll have different themes. I might have like a Bad Boy Entertainment playlist with the classics from them. Or I've got a playlist that are just more inspirational music and inspirational content in the music. You know, so make some different themes for your playlist as well. And also sometimes of course, just speaking, you know? Listening to other people speak. The human voice is also in a way an instrument, and it has a certain type of melody as well. So a lot of people listen to audiobooks, and listen to podcasts, and things like that while they're working out. And for me, I love to listen to audiobooks doing certain types of exercise as well. And I use Audible personally, and they have an unmatched selection of audiobooks. They also have original audio shows, news, comedy, and a lot more. And you can actually get a free audiobook with them, and a free thirty day trial if you go to www.Audible.com/model. 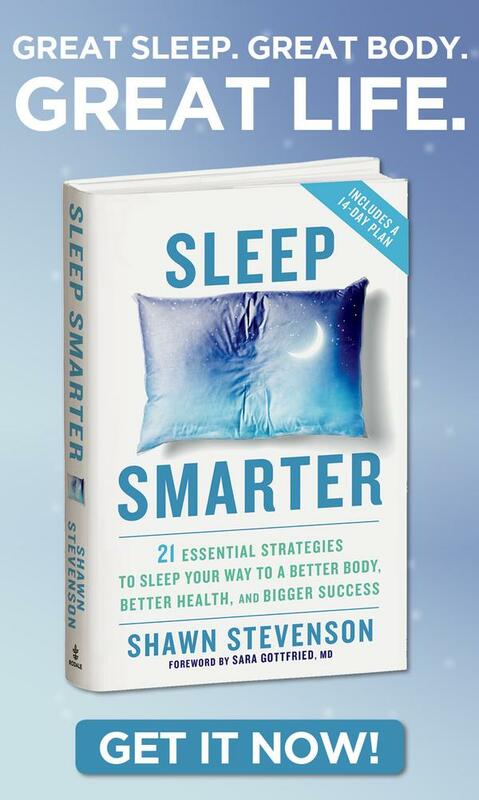 Again you get a free audiobook that you can listen to anytime. Today personally I was listening to Lisa Nichols' book on Audible, and she was on The Model Health Show on one of our most downloaded episodes, and we'll put that in the show notes for sure. But her audiobook is so good, it's really one of the best books. And so her book is called 'Abundance Now,' and I was listening to that today while I was getting ready for the show. And I just love that particular book, but you can pick any book. They have such a wide selection. They have also books from past guests like Dan Millman, 'The Peaceful Warrior,' just so amazing. Oh and utilizing audiobooks, I think it's such an advantage because you can listen to them from anywhere on any of your favorite devices, whether it's your iPhone, your Android tablet, iPad, iPod, any of those devices you can literally tune in anywhere and get your edutainment on. Your automobile university, it's really a great resource. So make sure to head over, check them out, www.Audible.com/model and you get a free audiobook, thirty day free trial, and I use Audible- I've been using Audible, I don't even know how long. I mean for years, so I absolutely love them. I've got a pretty big collection of audiobooks, so it's just one of the ways that I like to- not just for exercise and going for a walk, that kind of thing, but just if I'm getting ready, if I'm shaving or whatever, I might put on an audiobook, or if I'm jumping on a Rebounder, that kind of thing as well, or just cleaning up. It's one of those things that goes with you. 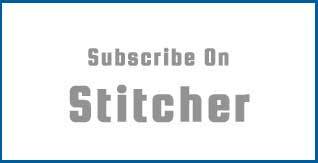 A lot like with podcasts, so it's just another great resource to utilize. So we've got music here in the study, audiobooks, podcasts. You can use any of these methods to help support your work performance. But just take advantage and use some of the tools and tactics that we covered here already, because music does in fact work, and you know it. You have this happen to yourself experientially. You know? You get yourself a new song that you're really feeling, like it gets you hyped, and you really- like you just can perform, you know? You just feel like more capable, and stronger, and able to execute. So take advantage of it because it really does work. So let's move onto number three on our crucial keys to long-term fitness motivation, and number three is- and this is where we're really kind of digging in and looking at inspiration more so in this part of the episode. Number three is to utilize something called a 'why' card. Alright? A 'why' card. So this is literally taking an index card and writing down your 'why' for your fitness, for your health, for you to be able to refer back to whenever you're feeling out of sorts to know why you're doing what you're doing. So with this card, we're looking at what is your goal? What is your actual goal? What is your mission? What is- most importantly, why do you want it? Why do you want what you say you want? Now this is something where we have to really be honest, because this is something that's probably just going to be seen by you, so there's no reason not to be honest with yourself. But it's surprising and pretty remarkable how often we're not honest with ourselves. We don't allow ourselves to want what we really want because we've been programmed to believe that it's not possible for us. We've got all these stories, so this is an opportunity to allow ourselves to want what we truly want, and to peel the onion and get down to the real root of it because it might be, 'I want to look good in a swimsuit,' right? But it might be something deeper, you know? It may be, 'I've been single for a couple of years, and I might want to meet somebody when I'm out hanging out on vacation,' or whatever. Or something like that, you know? You know, whatever the reason might be. And even still, again this is about you. This is not about being perfect, this is about being perfect for you, and the best version of yourself. So with that said, this is not about being perfect, this is not about trying to finesse your way into getting this perfect body so that other people like you. This is about feeling good within your own body, and feeling good about yourself, and who you are, and there are different levels of that for everybody, you know? Not everybody wants to be like this super like twenty pack stomach, and all this stuff, and not everybody wants to have like the '24-inch pythons, brother.' Not everybody wants that, that's not their lot in life, alright? So it's what is inspiring for you to be happy and confident within your own body. So for me to share with you guys what my 'why' is, for me it's I will not let my kids down. I want to be there and to be a positive model in their lives of what's possible, because I know that they're looking to me whether they realize it or not, and I'm their first hero. I'm their first superhero, and I will not let them down. Also I will not let my grandmother down. And so she invested so much into me, and she's no longer here with us, but I know what she sacrificed and what she did to put me in a position to be here with you guys today, and to give me that blueprint of love, and unconditional love, and certainty, and confidence that she instilled in me, I will not let her down. And so these are the things that drive me, because I know that what she invested in me, I need to pay this forward a million times over, because she's worth it, she deserves it, and so do I. But my bigger mission, even underlying all of that, is I know that I was born at this time for a reason, you know? Just like you, all of us are, we're here at the most amazing time to be alive, but there are also a lot of issues for us to deal with. And so my bigger mission is that I've realized- and this is through my life experience, that hurt people hurt people. And so often we're having this conversation about people being rational, caring, loving, compassionate humans, but it's very difficult if you feel terrible. It's very difficult if your body is in distress, and you're hurting inside, and you don't feel well. And so I'm very motivated and passionate about helping to solve a lot of the problems that we have in communication, and in love seemingly missing from our conversations with each other by helping people to get healthier, so that we can heal as a society. That's my gift to give, and I'm very passionate about that, and I wake up every day with that modus operandi that I'm going to help to heal society in my own way by helping people to feel good. So those are some of the things, and again that's just my example, but whatever it might be for you. Maybe it's related to your significant other, maybe it's related to your kids, maybe it's related to your job. Tune in, peel the onion, and write down on that 'why' card. And you can do that- I highly encourage you to do that today. Don't put that off, take it out of your head, put it down onto some paper so it can be real. You create some reality out of that idea, because when you tune into that, and for myself personally, do you think with that as my 'why' that I'm going to stop researching? Do you think that I'm going to lack inspiration? Do you think that I'm just going to throw in the towel at some point? No, absolutely not. This is going from motivation to inspiration, and it's built into the system now. There's no stopping me no matter what. And so I want you to have that same experience, so tune into your 'why.' Create yourself a 'why' card. It's a great tactic here when we're utilizing the science of how we're designed, and I hope that that adds some value for you. Let's move onto number four on our list here of these crucial keys to long-term fitness motivation, and number four is social accountability. Alright, social accountability. Now there's this interesting phenomenon. It's called the 'observer effect,' specifically in psychology. And this refers to subjects altering their behavior when they are aware that somebody is watching. Alright? They're altering their behavior when they're aware someone is watching. Don't you act differently when you know somebody's watching you? Probably. This just reminded me just now of the Jerry Seinfeld episode where somebody pulls up next to him in traffic and they think he's digging in his nose. He's like, "It wasn't a dig!" But it was because they couldn't see, he was just scratching his nose. Alright? You're not going to probably be digging in your nose if you're around a bunch of people that you respect, right? Behavior is going to change based on whether you feel or know that somebody is watching. So this is something that we all have, it's built into the system. Another example is how a parent might react when they're kids are acting up in public. It's going to be different, right? You know I remember my mom would tell us before we'd go into the store, she'd be like, "Listen, when we get in the store, don't you ask for nothing." They're going to act very differently than if we were alone, you know? Going to get the shoe thrown at me or whatever tactic she might have used at the time. But the bottom line is we're going to act differently depending whether or not we're being watched. Same thing, five second rule, right? If you think about a company like McDonalds, right? If you think about McDonalds, the five second rule has probably happened more times than you can imagine. You know, something drops on the floor, five seconds, if you pick it up within five seconds, it's still good. They're still going to give you that food, alright? Not a comforting idea, but if they know somebody's watching, of course they're not going to do that. You know somebody- if it's your food specifically, maybe fellow employees, maybe not so much depending on what end of the spectrum they're on as far as their civility and caring. But if they know that you're watching, or somebody who would disapprove of that behavior, of course they're not going to do that. That's very silly. So with diet specifically, and using this tactic here for our motivation, you're far less likely to pull up at a McDonalds with your healthy, real food eating friend. You're far less likely to do that behavior because they're watching you, they're with you, you know? If you're hanging out with me, chances are we're not going to end up at Domino's. Like it just- the chances of that go down rapidly, right? So here's the thing. If we're not aware of this and utilizing this for our own inner psychology, this stuff is happening on automatic anyways, we might as well use it for our good. So utilizing the social accountability, there's many ways to employ this. So signing up for a challenge where you're a part of something. This could be a physical appearance where you're actually doing the thing, going to a thing, being at a place, or something where this is online and you've got technology now for accountability. This could be videos, this could be livestreaming stuff, this could be posts on your InstaStory, and Snapchat, and things like that. All of these things, this might be a part of a challenge if you sign up for something and get involved to show your accountability, to show that you are participating. And sometimes, real talk, people are looking out for you. They're like, "What happened to Susan? I thought she was doing the challenge. She hasn't posted in like two weeks." And you might get a message or a text from a friend like, oh you know- and then like you get back on it. You know somebody's watching. Somebody's watching. People out there care and we experience that more when we get involved, and we can put ourselves out there, and make ourselves more socially accountable by doing something like that. Of course, not necessarily even signing up for a challenge but posting clips or pics from your workouts on social media, and things like that. Also get around other inspired people who are on the same mission as you. We're going to talk more about this, but just being in that environment, knowing that somebody's watching you, you're going to up-level your game. You're going to rise to the occasion, and it's something- again, built into the system. And this is why we're having a very special live event, and we're going to talk about the science of fat loss. The most effective approaches to fitness for changing your body, and so much more, and a big part of this is the social accountability, and being in this together with me and with other incredible people. Now you can join me live, this is from anywhere in the world, you can tune in live from your computer, from your phone on September 26th, and just go to www.TheModelHealthShow.com/finishstrong. Alright www.TheModelHealthShow.com/finishstrong, and we're going to make sure that you finish this year, you finish 2017 on fire, and you blow past the folks that are waiting around for the New Year's resolution to try to get their life together, alright? So we're going to get a jump on this. This is the fourth quarter and it's time to execute. And so this is a fat loss Master Class, and I want you join me for this, alright? This is again, from anywhere in the world you can tune in. This is going to be live with me on September 26th, so you need to go and get signed up right now, alright? www.TheModelHealthShow.com/finishstrong. And you do not want to miss this, so take advantage, the date is coming up quickly. Head over there, check it out, www.TheModelHealthShow.com/finishstrong. And now- so that was number four on our list here, and so number five on our list of six critical keys to implementing long-term fitness motivation, and talking about the science of motivation, this one piggybacks on the last one. Number five is to find and utilize a reliable gym partner, alright? A reliable training buddy. And there's real science to back up why this works. There was a study that was published in The Journal of Social Sciences that found that when paired with an exercise partner, participants tended to gravitate towards the exercise behaviors of those around them. And even when participants were instructed to exercise at a moderate level, and to keep their heartrate within a particular range, they tended to supersede those instructions and either rise or lower to the intensity of their partner. There's also- there's something called social comparison theory that's at play here, and researchers state that this is not completely understood, or necessarily true 100% in all instances, and there's still a lot more to learn about this phenomenon, but this is something that we have a tendency- a large tendency to do as human beings. Now again, I meant earlier when I said this, this is so important for you to really understand, rise or lower to the degree of their partner. And so what they found was that this is helpful for people who are working with- they're partnered up with somebody who is at a higher level of fitness, and it had them across the board to elevate their performance. But they also mentioned that people who are at the higher end of the spectrum, that are paired with somebody who is not at that particular level, that they're not going to likely to see the same benefit. As a matter of fact, they might even lower their performance a little bit. So everybody wants to strive for somebody who's at or beyond the level that they're at, alright? And encourage that. Now I love the idea of employing a mixture in our reality, in our performance, in our day-to-day lives. The 33% rule. So 33, and 33, and 33. We've got 1% extra I guess is flexible. But with that said you've got people that are maybe beyond your level where you are currently, and you've got to really elevate and up-level your life and your game to try to associate and to perform with them. And this could be in any area of life whether it's relationships, finances, work performance, fitness. Then you've got another percentage here, the 33% of people who are pretty close in the same range as you with those different things. And then you've got a group who you are seemingly beyond in different levels of life, alright? And no human is beyond any other human as a human, alright? No life is more valuable than another, but in particular areas of life is what I'm talking about. Somebody might be more successful in their fitness, and you might be at a place where you're doing really well with your health, you're at the body composition that you really enjoy, you feel good. And then you've got a friend who's struggling in that department. You want to spend a nice amount of time at that other 33% to help to uplift them, to inspire, to give them tools, to maybe work out with them, to give them tips and strategies, hang out a little bit. So it's a nice ratio to consider for your life, to put your life and your mission into those three baskets. But you know, bottom line is if you really want to elevate your game with your fitness motivation, get yourself around somebody who's at or beyond the level that you're at, because you have very little choice in the matter of whether or not you're going to uplevel your game. Just to be around them, just to perform, just to rise to the occasion, and in order to rise to the occasion we need an occasion to rise to, alright? So take advantage of this one because it really does work. And finally, number six on our list of the six critical keys to implementing long-term fitness motivation, number six is to utilize something called affirmations. Alright? Affirmations. Now you've probably heard this before, this term. When I think about it, it is closely linked to Stuart Smalley in my mind from Saturday Night Live. "You're good enough, you're smart enough, and gosh darn-it, people like me." You know that kind of thing where he's speaking into the mirror, and he's using the affirmations. And this is piggybacking on a lot of the personal development culture that was going on at the time, and today it's really just intertwined itself into our reality, into our culture. It's such a big part of that where people are doing a lot of things to become better, to improve themselves, to find happiness, to find success, to find good relationships, to find good health. And it's a wonderful, wonderful thing. And so we can play about it, but it really does have some profound impacts. And I'm thinking about Louise Hay who is the founder of Hay House who is my publisher in the UK, but she's somebody who really created a lot of work around this concept and delivered a lot of incredible information and a lot of anecdotal evidence as well as some profound science to support the fact that affirmations really do work. And she just recently passed away, and she was over ninety years old, and just lived a very long and fruitful life, and helped a lot of people. So just it's a little bit- it's a little bit hard to talk about because individuals like that early on in my career, I remember coming across some of her work and just being really inspired. You know that's another extreme of it. And just reframing things and talking to myself in a sweet manner. Talking to myself in a more positive and affirmative manner. You know affirmations, affirmative. You know, you've got this. You can do this. The only limits that you have are in your mind. These are things that I would tell myself because I kept finding myself bumping up against these glass walls and glass ceilings in my progress. And ultimately I had a decision to make of whether I was going to continue with that same story, or whether I was going to change the conversation in my own mind. And so with this said, utilizing affirmations, encouraging yourself, catching the negative. And so what Dr. Daniel Amen calls these are automatic negative thoughts, and the acronym is ANTS, alright? He says you want to kill the ants, alright? And of course he's just amazing, he's done the greatest database of brain imaging scans in the world. We'll put his interview in the show notes as well for Dr. Daniel Amen. But these automatic negative thoughts, these are those trains, these sequences of conversation that go on in your mind that something happens that it's a trigger, it's a domino effect to a whole negative sequence of thinking. Alright so we want to get out of that, and we want to catch the negative thoughts and change the programming. As soon as you hear your mind say, 'You can't do that,' you immediately say, 'I can do that. How can I do that?' Even with my kids. You know my youngest son Braden, he just said it. It was yesterday was the first time he did it because he'd gotten on a streak of saying, "I can't" for a little while. It's been a little while back, but whenever he would do this I would just tell him, "You can't yet. You're going to figure this out, you can't yet." And yesterday was the first time he came over to me, and it was something with his leg, I don't remember exactly what it was because I was so caught up in what he said. And so we're all doing this, it's just changing the conversation in our head. It doesn't happen automatically a lot of times, but just keep on coming back and affirming that you are great. You are worthy, you are special, you are gifted, you are capable. And affirming these things, whether it's in the context of your fitness and your exercise, your workout, or in the context of dealing with everyday life, we have this capacity. And one other person with this, I think it was really awesome. She's a neuroscientist, Dr. Wendy Suzuki who's been on the show as well, she's one of my favorite people, and we'll put that in the show notes too. And she talked about what transformed her life was a form of exercise that combined affirmations with the exercise called IntenSati, alright? Intensity, IntenSati. And so while exercising, like maybe it's a boxing type of exercise, and she would punch and say, "I am strong now." You're doing the exercise and saying the affirmations together. And she really felt being somebody from a culture who's very, very quiet, very mild mannered, and to really come out of her shell, and to feel strong within her body, and to feel capable. She always felt a little bit like a victim, and she feels that that form of exercise with the affirmations changed her life, and she's from that changed many, many people's lives as a result. And such a great gift to know Wendy as well. So guys these six keys, crucial keys to creating long-term fitness motivation are of the utmost importance, but they only work if you work them. You know taking any one of these tools, or even all of these tools, or whatever works for you, whatever speaks to you, it's one of the great leverage points that we have to get you from where you are to where you want to be. You have the opportunity to put these in place and to get some great results from them. You know because it's not about what you do sometimes, it's about what you do consistently that tells the true tale of the results in your life. Alright so I hope you got a lot of value out of this. If you did, make sure to share this out with your friends and family on social media, Instagram, Twitter, Facebook, all that good stuff, and then of course you can tag me and I really do appreciate that. And to help spread the love, and help to spread powerful empowering information, and I truly do appreciate you so much. We've got some great episodes coming up with some powerful guests, alright? So make sure to stay tuned for that. We're just going to keep up-leveling things, and today this content was really a big part of that because it's not what we do sometimes, but what we do consistently. And also we have to leverage the power of our own minds. This is the key to actually employing the fancy pants fitness and nutrition strategies that are out there. There are thousands of different ways to exercise, but we're not going to do any of it if we're not motivated to do so. And so I appreciate you so much. Make sure to take action on these things, employ some of these things for yourself and get some results.